A watch brand as pure, clear and breathtakingly beautiful as the Arctic itself. 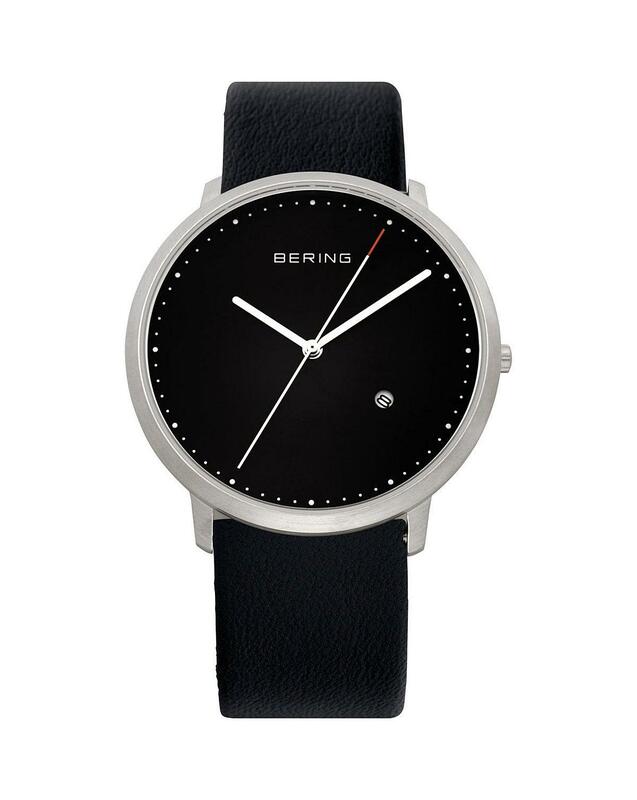 Bering gents stainless steel strap watch with brushed steel case. Black dial with date indicator second sweep hand and Black calfskin leather strap.